Who will you WALK-IT for? 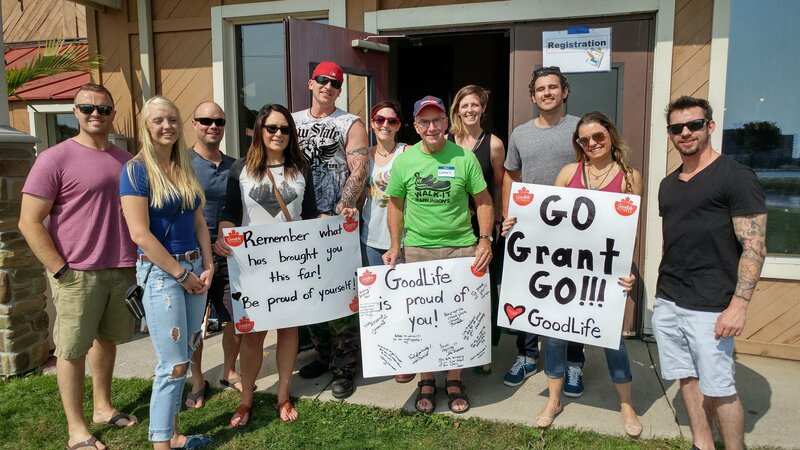 WALK-IT for Parkinson's provides the much needed funds for support services, education, advocacy and research in Southwestern Ontario. Over $420,000 was raised at 14 WALK-IT for Parkinson's events in 2017! Walk and show your support for those affected by Parkinson's at one of 16 WALK-IT for Parkinson's events this September. Each WALK-IT for Parkinson's event features 1 km to 5 km walking routes, food, entertainment, and fun for the whole family. Choose who you WALK-IT for and let's help the Parkinson's community in Southwestern Ontario keep active and stay healthy! 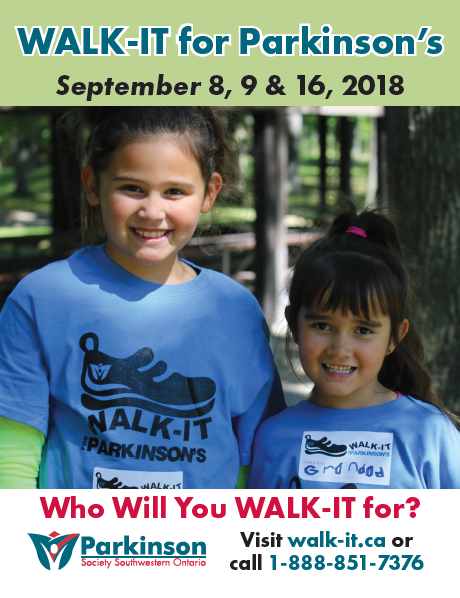 Help us spread the word about WALK-IT for Parkinson's! Save and share the poster below, or contact us to recieve hard copies to post in your community!